Summertime is officially here. And with the sunshine comes the delicious smell of barbecue. Or not. Many apartment dwellers have to give up outdoor cooking. But residents of Alexandria, Virginia’s The Frasier don’t. This amenity-packed community comes equipped with commercial-quality grills and entertaining stations so you can fix up burgers, hot dogs, and even fruit and veggies while you mingle with your neighbors. You can have the community that comes from outdoor cooking without the hassle of a backyard’s upkeep. If you’ve never grilled before or even if you’re a seasoned (ha!) pro, these grilling tips will help you make the best summer food ever. So get grilling! You’ll want to preheat your grill for 15 to 25 minutes to ensure your food comes out just right suggests Eating Well. By properly heating your grill, you’ll prevent sticking and help lock in moisture. If you’ll be seasoning your meats or fishes with a sweet glaze (think a honey-based one), be sure to brush that one on last. This prevents the sugar from burning off to0 early, according to Time. As with everything you do, you’ll want to make safety your first priority. You’ll want to use separate plates for marinating and for the finished product to prevent bacteria from spreading. After you’re done creating your grilled masterpieces, Eating Well suggests leaving the meats out for 10 minutes to preserve the juices. To prevent foods from slipping through the grates, consider a grill pan. Grill fish fillets and small foods in here to keep them safe, suggests Better Homes & Garden. Most people think of hamburgers and hot dogs when they think of grilling, but veggies are also great for grilling. Cooking Light suggests throwing corn, bell pepper, chilies, green onions and even avocado onto the grill. Coat veggies with olive oil to prevent them from burning. You’ll want to put the heat up high to make the veggies charred. This will add some awesome texture to your tasty bowl of greens. Likewise, you can also grill fruits too. Some good options include watermelon, peaches, and apples according to Rodale’s Organic Life. The heat from the grill will caramelize the sugars and bring out smoky flavors in the fruit. Talk about tasty! 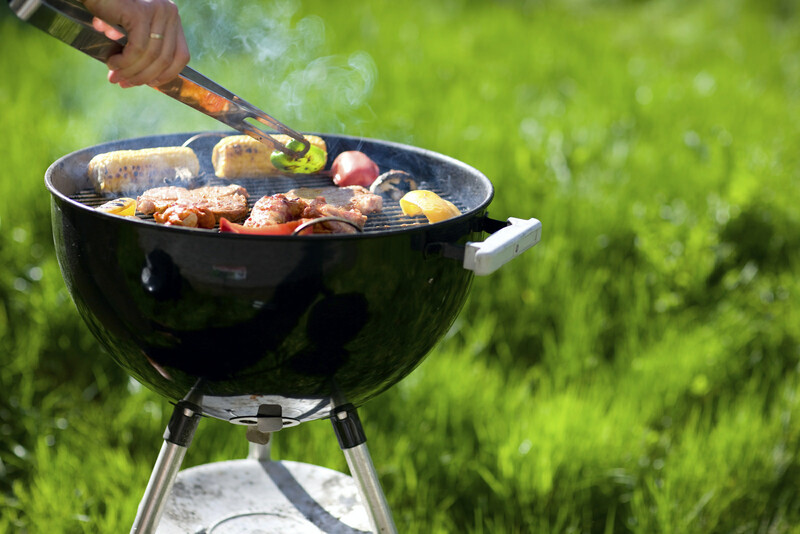 The ability to enjoy summer grilling is one of the many perks of living at a thriving community like The Frasier. Contact Bozzuto today to begin the leasing process on your dream apartment home.